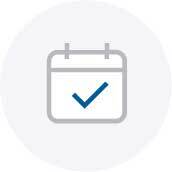 The simple and easy way to create a compliant employee handbook in minutes. 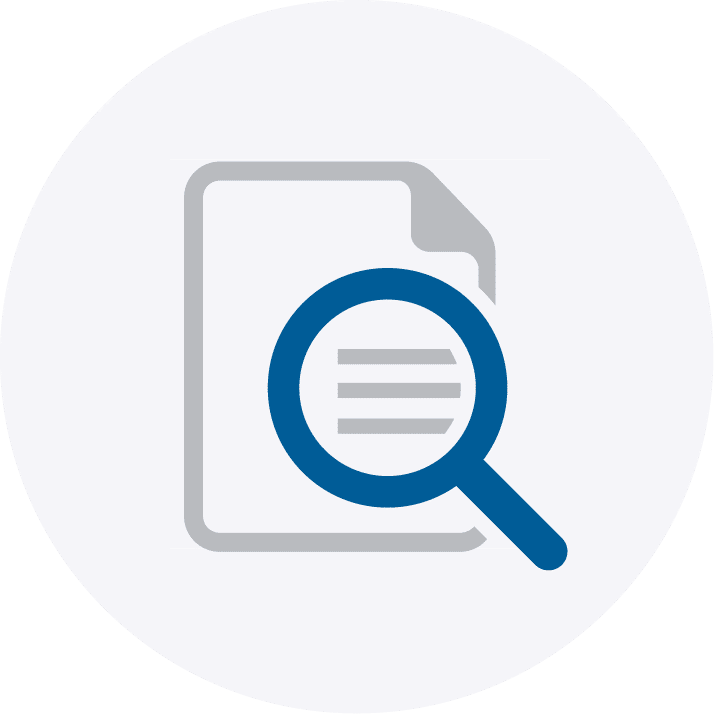 Templates & forms specifically for Australian micro, small businesses and not-for-profit organisations. Total cost $217 Incl GST. Annual Renewal $21.75 Incl GST. Cancel at any time. Need to create an employee handbook, but don’t know where to start? Instant Human Resource (HR) Policies and Procedures includes everything you need to create a fully compliant employee handbook. 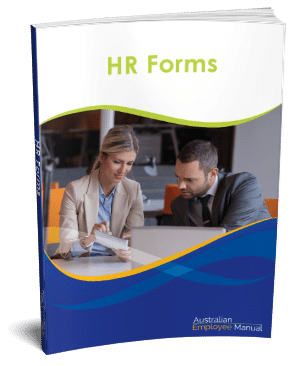 All the policies, forms and letters are contained in one simple, plain English, easy-to-use package developed by experienced HR practitioners and experts. Why choose Instant HR Policies & Procedures? Comes in Word format. Simply insert your company name and details. 2018 edition – Current with Australian Legislation. First published in 2007. Used in thousands of businesses. All updates included for 12 Months. Super low-cost updates thereafter. No waiting for books or complex software. Get started today. Written specifically for Australian small to medium businesses. 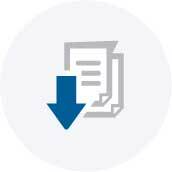 Download the full contents list and a number of free HR policies. My name is Ingrid Moyle and I am the lead author of Instant HR Policies and Procedures. 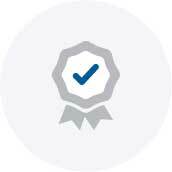 I have spent 25+ years at senior levels of Human Resources, working with organisations from start-ups hiring their first employee through to leading large teams of HR experts looking after 7000 employees. I have lectured in Employment Relations at ACU in Brisbane and have worked in central government organisations including the Queensland Industrial Relations Commission. We believe this employee handbook pack is the best information available on the market to help small businesses and not for profits make sense of their human resources. Create your employee handbook in minutes.  Start by downloading the documents (they come in Word format). Then search and replace ABCD with your company name. Finally, review your document and tweak the processes to match how you want your business to run. Simple! "Your policies and procedures are well written, easy to read, easy to customise and have saved me about 2 months worth of effort. They also help to define a company culture that I'm proud to work at. 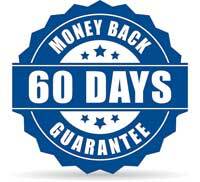 You have been an invaluable assistance to us, and your pack is worth 10x what you charged for it!" "What I liked most about Instant HR Policies & Procedures is just that - Instant! These manuals are perfect for a small company just starting to get to grips with HR practices and the value they can add to the company. It has a lot of information that could easily be overlooked. It is easily updated or customized to the company's requirements and is very easy to purchase. " "I needed a policy and procedures manual but simply didn't know where to start writing one. Your manual was extremely comprehensive. All I needed to do was delete a few sections which didn't relate and it was perfect. The forms were great to have on hand. I love the entire package as well as the ease of use and instant download. Aside from that how do I describe something I appreciate so much? Your kit saves a lot of time and it's up to date with current legislation so it keeps a business owner within the law." Having tried various other packages, they were all too difficult to understand, and needed far too many alterations to be user-friendly for us to implement. We found that Instant HR Policies and Procedures were written in a very easy way to understand & indeed how we “speak” in our business. I have existing policies, but these were so much more concise and came across with the right amount of authority needed in such a document. It is more than I ever would have dreamed that I would get. It covers what I was looking for and then some! Our business was lacking HR Policies and procedures and we were looking for help. We were worried that the HR Policies and Procedures Manual would be long-winded and hard to follow. We wanted something concise so the staff didn’t tune out before getting to the end. When we downloaded the policies, they were exactly what we had hoped for, with some extra information along the way that is amazing! We love all the tips and hints and extra information provided. We also love the easy functionality to be able to copy paste and customise, and the follow-up. It seems you care that your customers are happy. I would happily recommend the HR Policies and Procedures Manual. It’s a one-stop shop for so much information. I’ve gathered some fantastic ideas along the way. It’s certainly value for money. 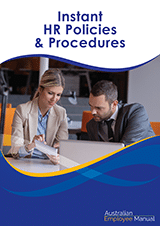 What’s in the Instant HR Policies & Procedures pack? Download today and receive Instant HR Policies and Procedures PLUS all of these bonuses. Comprehensive policies and procedures suitable for all businesses from one employee to medium-sized enterprises. A New Employee Orientation Manual covering all the essential things a new team member needs to know in their first week of employment with your company. It will help you plan and deliver highly focused inductions to get your new team member up to speed – FAST, as well as limit the, “You didn’t tell me that” conversations down the track. Reasons why you need a HR Manual. Implementation Tips on how to implement your HR Manual. How to write your own HR Policies. How to hire your first team member. How to make Codes of Conduct “stick”. Firing Tips – how to fire someone respectfully. 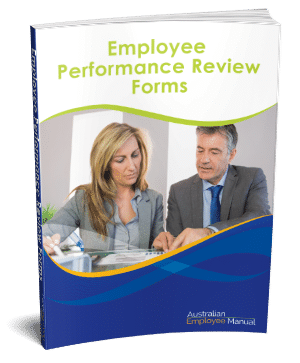 A range of different Employee Performance Review forms, ranging from simple one-page forms to more detailed and complex strategies. 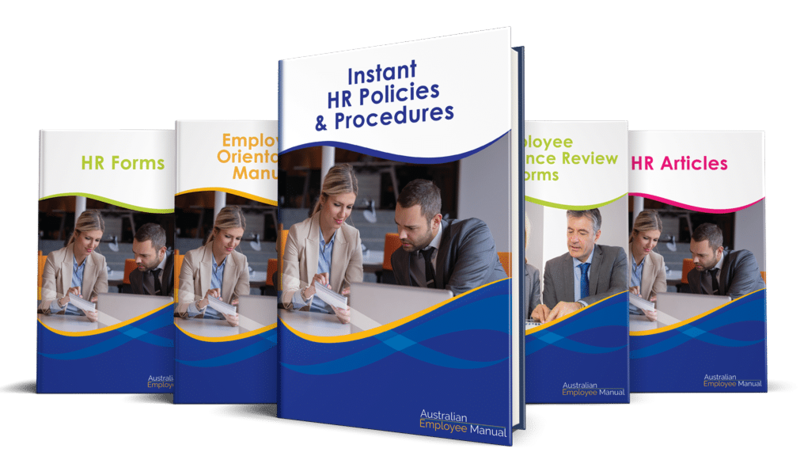 Frequently asked questions about the Instant HR Policies and Procedures pack. Is the employee handbook up to date? 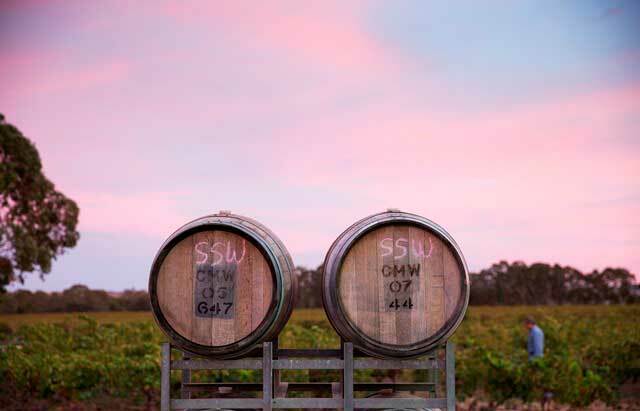 We review the package in full at the beginning of each year and after every major legislative update to ensure the content is always current. Are all the bonuses included in the price? Yes. 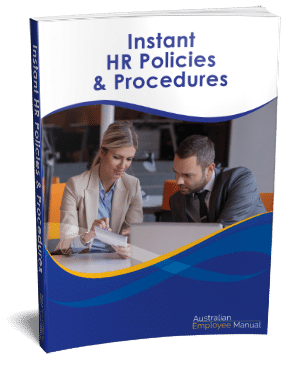 You get the full Instant HR Policies & Procedures Manual, as well as all of the bonuses included for the one price. You get access to 12 month’s of update included in your initial purchase. After 12 months, you will be billed a low renewal rate of just $21.75 incl. GST annually to retain access to every update issued each year. That’s ongoing peace of mind! Are they easy to customise? 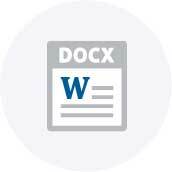 All the documents come in either Word format (so you can edit them) or PDF (for purely informational documents that you don’t need to edit). If you can use the basic features of Word, you can edit these documents. We also include instructions so you can update your contents page when you are finished editing. Can you customise the documents for me? While most businesses find they don’t need any extra help editing their manual, if you do have a challenging HR issue then we recommend you work with a local HR consultant to get one-on-one attention. Why do you recommend we run our final employee handbook past our lawyer? 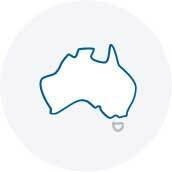 Employment relations in Australia is highly complex. No template package can cover every business structure, or unique employment challenge. That’s why we recommend every employee manual (no matter whether developed by using our templates or in conjunction with a HR consultant), be run past your lawyer to ensure your specific circumstances are taken into account. Does it include full WHS policies & procedures? While we do include some general WHS policies, unfortunately, the legislation still is not consistent across Australia. Also, WHS for a mining operation is different to WHS for an accounting firm. You will still need to develop organisation specific WHS policies and procedures for your business. We regularly get calls from people wanting to know why we don’t charge hundreds more for the package. 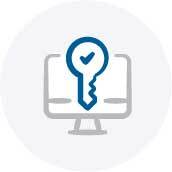 We believe every business has the right to know how to comply with employment legislation without breaking the bank. That is why we pruned out everything that adds unnecessary cost. There is no fancy additional software, no disks, no packaging and no printing so we can keep costs as low as possible.